Bill Warters (Ph.D., Syracuse University, Maxwell School of Citizenship and Public Affairs) is a core faculty member in the Master of Arts in Dispute Resolution (MADR) Program in the Department of Communication. Dr. Warters, an Assistant Professor, teaches courses such as the Roots of Social Conflict; Neutral Intervention Theory and Practice; Human Diversity and Human Conflict; Ethnographic Research Methods; Final Seminar in Dispute Resolution; and an online course in Communication Technology and Conflict. Bill's symbolic intereactionist research approach favors qualitative methods used to explore the lived experiences of participants. 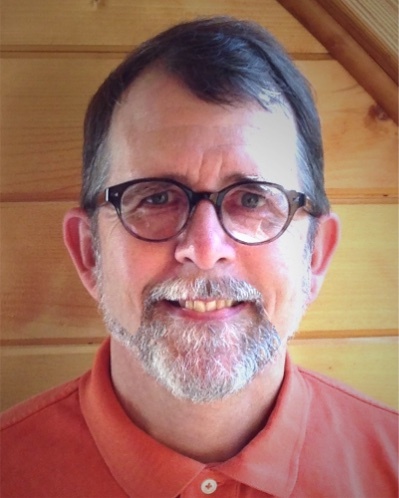 Demonstrating a strong interest (and hopefully an aptitude) in pedagogical best practices, Bill was chosen to be an WSU Office for Teaching and Learning Faculty Fellow from 2006 to 2008. In addition to teaching and research, Dr. Warters' work includes developing innovative conflict resolution knowledge dissemination and skill building platforms and tools. For example, Bill recently updated Creducation.net, a clearinghouse he built supporting conflict resolution in educational contexts. Back in August of 2012 Bill released a free iPad app that draws on some of the CRE resources from his two federally funded web clearinghouses, Campus-adr.org and CREducation.org. Project links are available at http://campus-adr.net When he is not prepping for class or going down twitter rabbitholes, Bill likes to ride his bike, canoe, attend Quaker Meeting and play freestyle frisbee. Symbolic interactionism; local cultures of dispute resolution; mediation practices; conflict resolution in higher education, masculinity and nonviolence; instructional technology; Open Educational Resources movement; qualitative methods, conflict resolution in schools, online dispute resolution (ODR), deliberative communication practices. 2008 - William J. Kreidler Award from the Association for Conflict Resolution (ACR). The award is named after the late teacher, author, trainer, and Quaker, William J. Kreidler, whose conflict resolution curriculum materials were in use in more than 50,000 classrooms by the time of his passing in 2000. It is the highest honor for members working in the Education Sector and is awarded for "Distinguished Service to the Field of Conflict Resolution." One of my areas of interest is Online Dispute Resolution (ODR). This pearltree I created of resources related to ODR demonstrates the broad range of materials in this emerging field. A recent presentation I gave at the "Renewal and Reconciliation in Urban Contexts" conference hosted by WSU's Dispute Resolution Consortium explored Dispute Resolution Technology's role in the situations such as the ongoing Water Shutoffs Dispute in Detroit. Slides from the session can be viewed online here. Warters, W. C. (1999) Mediation in Higher Education: A Problem-solving Approach for 'Organized Anarchies', in Novos Paradigmas em Mediaçâo, D. Fried Schnitman & S. Littlejohn (Eds) Porto Alegre: Artmed. Trans. J. Haubert Rodrigues & M.A.G. Domingues. "Theories of the Third Side: Identifying Acceptable Conflict Intervention Roles Based on Social Settings" at Associatiion for Conflict Resolution 2015 Annual Conference, Reno, Nevada, October 8, 2015. Video and Slides are available online. "Technology's Role in Dispute Resolution, with a Focus on Water Conflict" at "Renewal and Reconciliation in Urban Contexts" Dispute Resolution Consortium Conference, May 12, 2015. "Cyberbullying and Homophobia in Schools and Workplaces: Prevention and Response Strategies" presented with Priscilla Prutzman at the Association for Conflict Resolution annual conference, September 13, 2012, New Orleans, LA.